The 28th PotterCast is now up and ready for download. -Will Moody act differently in the fifth film? -Was John right about Cedric? -Will Hot Cheryl be on the show? -Has Lori seen the light? -The return of Mr. Blood and the Superbloods (coming to a bar near you) – and a Mr. Blood commercial! -A PotterCast listener has found Melissa’s apartment, and sent her flying squirrels. Fess up, Robert – who do you know? If you are new to all this podcasting stuff, it’s really easy: download and install iTunes, then click here to listen. 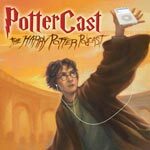 Everything else is at PotterCast.com – you can also direct download it here, and discussion of the PotterCast is right here. Have fun!